Giving you a glimpse into the Assen’s history, art and culture, the Drents museum is considered to be numero uno when it comes to best things to do in Assen apart from watching races! Offering you a brilliant exhibit of collections assimilated over centuries, this attraction was opened in the 18th-century, the year 1854 to be precise. You maybe lucky to chance upon some interesting temporary exhibitions. If not, the wide array of collectibles of applied art, visual art and prehistoric artifacts, which is permanent can always be relied on. Of all the artefacts here, if there was one thing to be called as the highlight of the museum, it would most definitely be its bog bodies! Coming second after the bog bodies is the statue of Anne de Vries’s books’ main character Bartje Bartels! All in all a great place to spend a few hours in the day. Mentioned ticket prices are of adults. For more tickets refer official website. For more timings refer official website. Love this? Explore the entire list of places to visit in Assen before you plan your trip. Fancy a good night's sleep after a tiring day? Check out where to stay in Assen and book an accommodation of your choice. 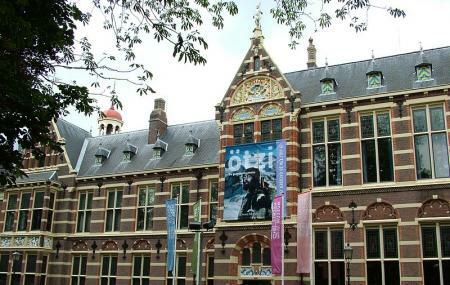 How popular is Drents Museum? People normally club together Verkeerspark Assen and Tt Museum while planning their visit to Drents Museum. This museum has awesome expositions. It's a place I would recommend to everyone who is interested in archeology and culture. Came all the way from Amsterdam to visit a special exhibition on Nubia, only to discover a gem of a museum. I won't giveaway too much, but everything is well presented and attention to detail is impressive. It was worth the 2 hours drive from Amsterdam and we ended up to be last people to leave the place. Very nice museum. Refreshing to see the collection comprising stunning pieces of art less known to the public. The doll house is a highlight of the museum. It feels like one is actually paying a visit to a historic family. Always has great expositions and a good general collection plus great presentation . Well worth a trip! The exposition Iran, cradle of civilization was perfectly composed. The permanent display of museum was very nice. Absolutely worth visiting.